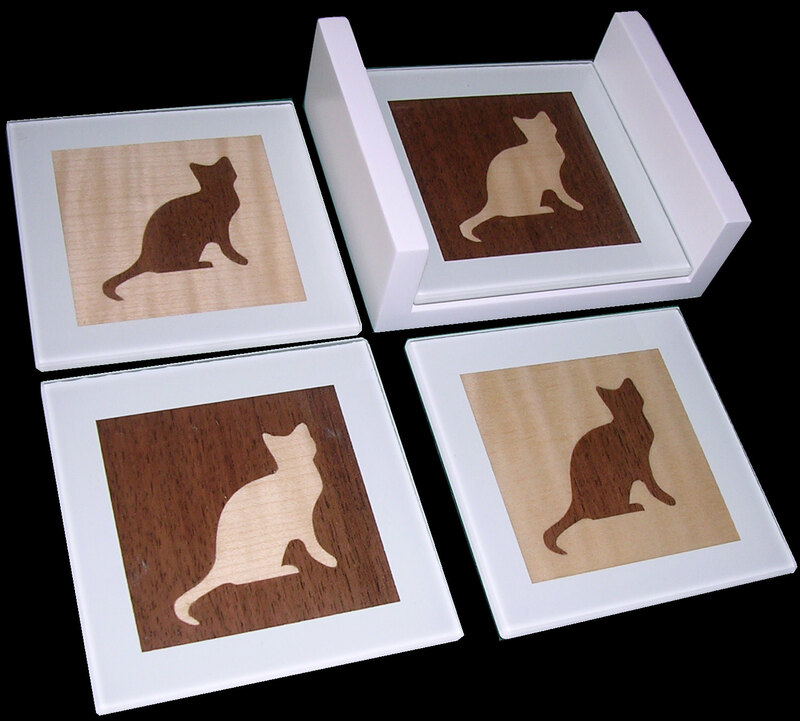 Our glass coasters with real marquetry inserts and convenient stand make really practical gifts. The marquetry inserts are mounted onto a backing veneer for strength and lacquered to bring out the beautiful colours of the veneers and protect against accidental spills. Choose from the designs shown, or contact us with your ideas. Available in black or white. Click any of the pictures for a larger view. Prices exclusive of P&P (c.£3 within United Kingdom). 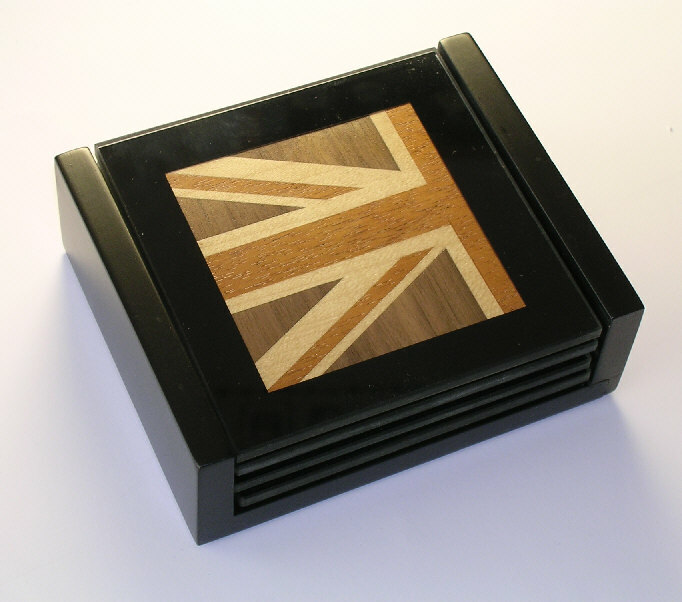 Four identical coasters with attractive Union Flag design in either natural (as shown) or dyed veneers. 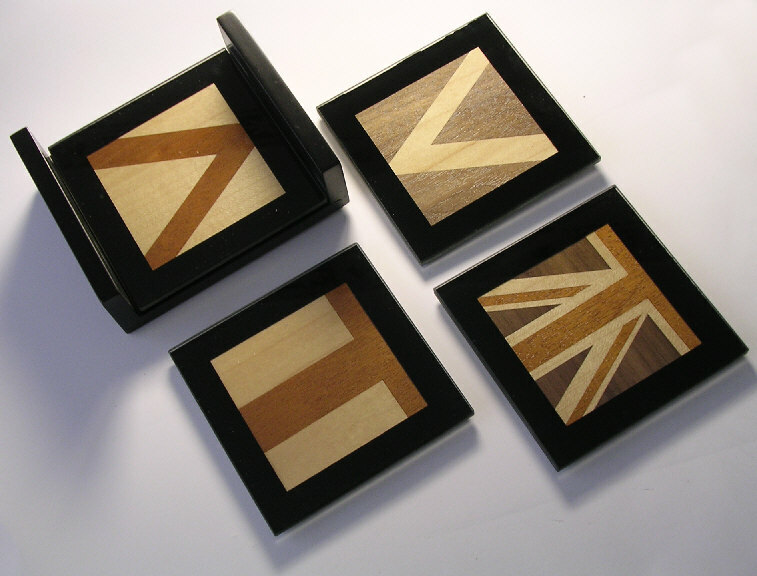 Four coasters showing the derivation of the Union Flag from the crosses of St. George, St. Andrew and St. Patrick. Available in either natural (as shown) or dyed veneers.